This week we have a special guest join us on the podcast. Mike Davis from our Sacramento office is in town and he joins us to talk about our recent tech team team-building outing, meeting the new team and we discuss splitting your organization into large or small teams. We also get the latest update on Mike’s perpetually delayed Spins Coffee maker and talk a little bit about Kickstarter projects. This week we cover MIT's 10 Breakthrough Technologies that could happen in 2019. We also talk about Mike joining Kyle's team at the office, Qi chargers build into your monitor and what to do while charging your Tesla. The title says it all. Kyle brings up his favorite topic “Tesla”, but this time it’s not good news. 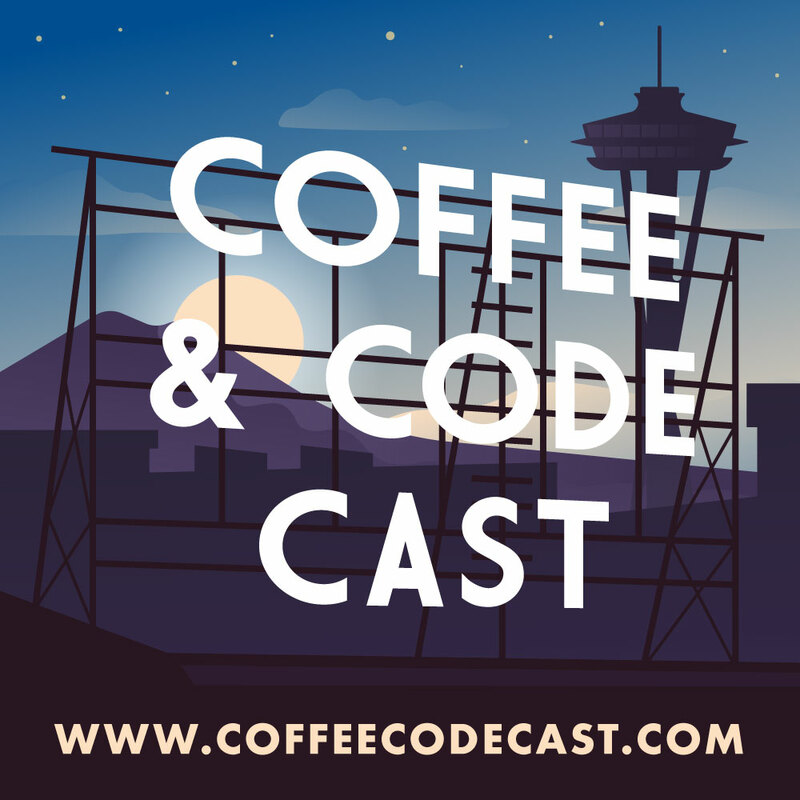 This week on the Coffee & Code Cast we found out we had snubbed a listener and friend of Mike’s who listens via an alternative app that has it’s own comments section. We discuss that and apologize for missing those. This leas us into some funny stories that Mike recounts. In follow-up from last weeks episode number 26 Tesla reversed course on closing all it’s show rooms and will keep a few of them open. To handle the increased cost of operating those facilities they are increasing their vehicle prices across the board with the exception of one. We discuss the rollbacks in Kyle’ favorite segment. Our primary topic for the show is discussion reorganizing teams. There’s a lot to cover here and we discuss the pros, the cons. We talk about all the different eyes that might be on the restructure. When is an ideal time to execute something like this and of course why you might want to take on a task like this. This week we have some really exciting news. Friend of the show Jernej from Gentle Giant illustrations has kindly created the show some new cover artwork. The artwork depicts Seattle’s famous Pike Place Market sign with the Coffee & Code Cast written across it. Of course also included is Seattle’s beautiful skyline and no Seattle anything is ever complete without the Space Needle. A co-worker relayed a picture that they found a working copy of the game in a bar in Seattle’s Fremont/Ballard neighborhood. This week was Mobile World Congress and Microsoft’s Holo Lens 2 was shown in many demos. Some demo showed a VR world that “follows” you or stays in your line of sight and some showed you walking around a stationary type virtual object. No Coffee & Code Cast is complete without Tesla news. This week the show discusses two new modes Tesla has unveiled via software update. Dog Mode a new option a driver can enable as they leave the car to maintain the temperature in extreme heat or cold conditions. The display also notes for any passerby’s that the car is maintaining the temperature and exactly what the interior temp of the car is at that moment. The second mode is Sentry mode with effectively gives you a form of video surveillance of your car while you are away. The video is recorded to your thumb drive and not available via the Tesla app. However if your card is nudged or hit the car will fire your phone a notification and record from all cameras the car offers. On this episode we talk foldable phones and take a deep dive into bluetooth audio technology. We get an update on Kyle’s clean livin’ journey discuss Mike's new backup battery for all his devices including the MacBook Pro. We revisit a regular topic on the show as well and discuss what we have been watching recently. On this episode we discuss Kyle’s new Tesla charging mat from Jeda. A wireless inductive charging replacement mat for the Tesla Model 3 allows you to charge two phones wirelessly. This is the second iteration of the product from Jeda and they are working on a version for the Tesla Model S as well. This week we talk briefly about our recent travels to Denver and discuss the new interview process that we have adopted at the office including it’s pros and cons. Kyle has an ambitious new workout and nutrition plan that he’s going to get started on that Mike may join in on. We also talk about some Tesla news after a several week hiatus in addition to the cancellation of Amazon HQ2 and the newly launched LimePod program in Seattle. This we're podcasting live! You can join us live now every Wednesday at 6 PM Pacific Time. This week are we are talking about updates to the show and what we’ve been doing with all the snow in Seattle. We talk about our love of airline mileage programs and how to prevent negativity from creeping in on your life. In the news we chat about rumored dark mode coming to iOS 13. Rumored Sonos headphones and a DIY project that makes a physical interface to Sonos.